To build a digital business alongside an existing physical business is not just about the implementation of a digital strategy. It is about the transformation of a physical business with digital as a core component that touches every part of a business and impacts on many roles. 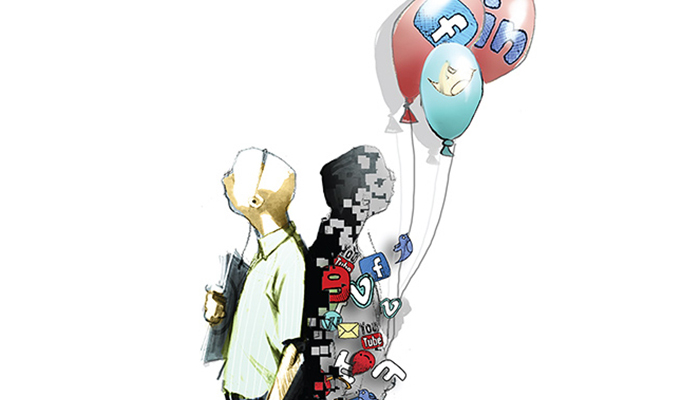 This transformation should not be left solely to a ‘Chief Digital Officer’, indeed the whole of the executive team needs to understand the digital way and how social media is affecting the way our organisations behave. However, appointing a designated digital leader is a good place to start. The moment of truth for digital leadership is how to go about re-engineering an organisation, born in the physical world, to thrive in the digital one. The core capability for a digital business leader is to do this in a way in which technical and commercial capabilities are integrated together as a business strategy, and that doesn’t undermine the legacy business. This is the central challenge for any digital business leader. They may be hard to find: It is unlikely that we will find them simply by searching for a familiar job title (e.g. CDO, IT Director, CIO). They may be hidden within a role such as CMO, CTO, Head of Digital Initiatives, Director of Online, Digital Director etc. Their key technical skills may be difficult for a traditional legacy business to understand and recognise: They may range from skills such as data science capability, mobile app development, social network strategy expertise, web content generation, cloud architecture, process architecture. Many in a legacy business organisation either won’t get what all this is about, why it’s important, how it’s different and therefore may feel threatened and make it difficult for a digital business leader: Employees of the legacy business may be used to a more concrete vision defined by boundaries and physical resources; so leaders need to help everyone make sense of the move towards digital and the part that they will play. And there will often be tension – for example, businesses that have been built by many years of hard work of employees on the shop floor now face staff cuts because the growth is online. The vision can feel 100% digital with the legacy business left behind. They may not get the support they need from expected sources: Internal IT functions are unlikely to be skilled or agile enough to be of sufficient help to develop the digital proposition. Indeed internal IT may be a blocker, protecting the old order. There may be conflicting messages within the executive team: Some may be eager to plunge into digital whilst others may be wary. So not only will a new digital leader need to have the right combination of technical, commercial and behavioural skills but the organisation will need to understand how to find and assess them. Paolo Moscuzza’s article discusses the importance of character strengths when recruiting to build the digital strand of the business. It’s all very well finding a bright, capable digital leadership with proven experience delivering online projects but if they cannot build relationships with people in the legacy business or have sensitivity to the challenges of building the new within the old… the proposition is going to fail. Last year I assessed a candidate for Operations Director for a successful traditional business that was planning to develop a new digital proposition over the next few years. The digital strand was likely to account for 20-30% of the business revenue in three years. Let’s call the candidate Andrew, (although you know perfectly well that is not his real name! ). He was one of three candidates that had been shortlisted and the preferred candidate from an early stage. He had scored the most points in a competency-based interview (especially on leadership and commercial focus) he was passionate about technology and change, very bright and had excellent experience of working in technology. a situation-based problem solving exercise where he was presented with scenarios that were specific to the company and had to make decisions and project the consequence of those decisions. Enjoyed creating crises to get his adrenaline going. The assessment did not contradict the competency-based interview. In the right environment Andrew had great potential. However, Andrew was not right for this this company at that particular point in time. They needed an individual who would gradually introduce the digital proposition to customers and not at the expense of physical. But our assessment clearly showed that Andrew assumed ‘digital was everything’ and would likely seek a revolution as opposed to an evolution. The client did not want to ignore the assessment but was convinced Andrew was worth a shot. He was appointed but resigned after only eight months (just before he was going to be sacked). In his discussion with his MD he said “The people round here are not as bright as the ones in the previous organisations I have been in – they don’t get it. I can’t work with them”. Andrew rarely acknowledged any successes in the physical product whereas he kept over-promising digital successes. He had prioritised digital in a very visible way by constantly cancelling non-digital meetings and would arrogantly talk about “bringing you lot into the 21st century.” He even refused to admit to messing up a recent digital project and distorted the facts to try and make out it had been a success. This was in a culture where people admitted mistakes and learnt from them. Andrew just did not fit. If the organisation had planned a rapid transformation to digital delivery then some of Andrew’s attributes may have in fact been desirable. However, in this case the digital proposition would be a gradual change with a lot of speculation about the level of potential growth and so there were certain character strengths that would be key. ‘Humility’ would be an appropriate character strength for this particular organisation. Character strengths should not be confused with personality. They run deeper, are far more inherent and attitudinal and are much harder to change or sustain under pressure. Humility comes from the Latin word ‘humilitas’ which translates as ‘humble’ or ‘grounded’. It is often seen as a virtue in religious and philosophical traditions. It is very easily observable in children (or not) at the end of a competitive activity. Even when there is no success, an absence of humility can lead an individual to pretend to be successful. For example, Andrew pretending the failure of a project was actually a success. Andrew’s absence of humility had led to him rubbishing the past (which had been very successful), making assumptions about customers’ desires for digital (which were not always correct) and a major negative affect on the people who had developed long term customer relationships. Humility is an example of a character strength that was required in that organisation. The ability to adapt, empathise with different perspectives and test evidence that is contrary to your beliefs were also critical to the role. Technology has made it very easy for people to find evidence to support their hypotheses. During transformational change, critical thinking – and specifically the desire to test hypotheses that go against personal beliefs – get neglected in the euphoria of change. The example illustrates that competence and competencies are not enough when character fit will enable or disable success. Those character strengths can only be assessed through more sophisticated techniques and increasingly organisations are using them to manage risk more effectively.